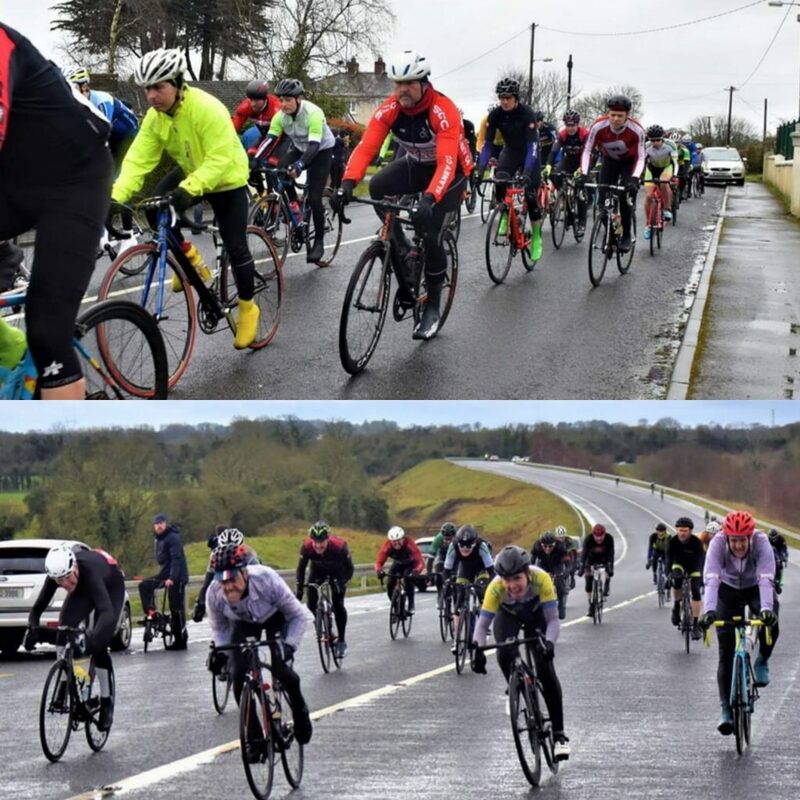 With no Saturday Tour or SERC’s Wellington TT League taking place due to the adverse weather condition’s, the club’s main focus was then placed on the racing group with Slaney’s “man for all weather’s,” Paul Noble being the club’s sole representative in the Lucan GP. The first 25km was an eye opener for his debut A3 race since his recent upgrade. With 50% of the field dropped, Paul was able to stay with the chasing group behind the leaders. In the bunch sprint for the line, narrowly avoiding a crash in front of him and with too many others riders in front, Paul finished a commendable 15th. During the Lucan GP and the group sprint for the line, Paul Noble is in the centre wearing the white helmet. With the weather vastly improved the Sunday Tour took the the roads on St.Patrick’s Day with 10 hardy tourer’s. Along the way Murry McDonald and former Slaney member Willie Roche, welcome as always to join us, came along for the spin. 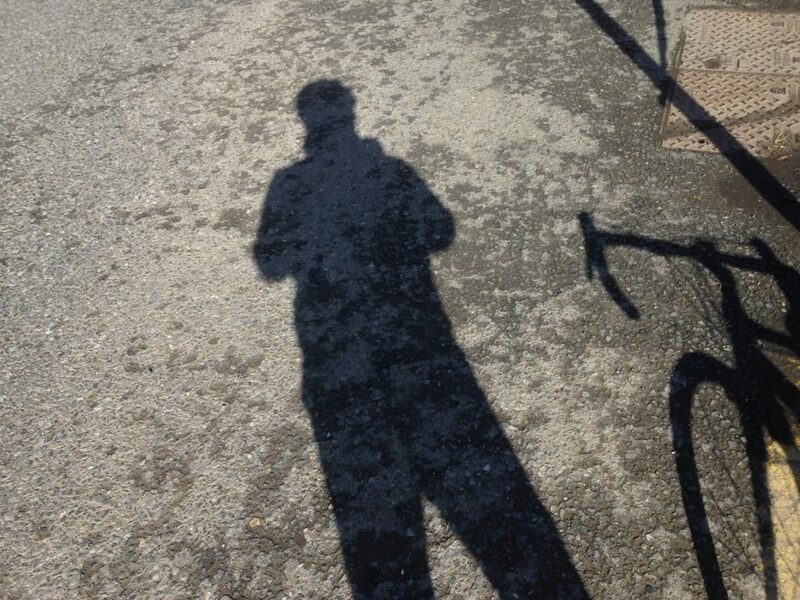 Touring Captain Mylie Kavanagh snapped this cyclist who seemed to follow the Sunday Tour today. 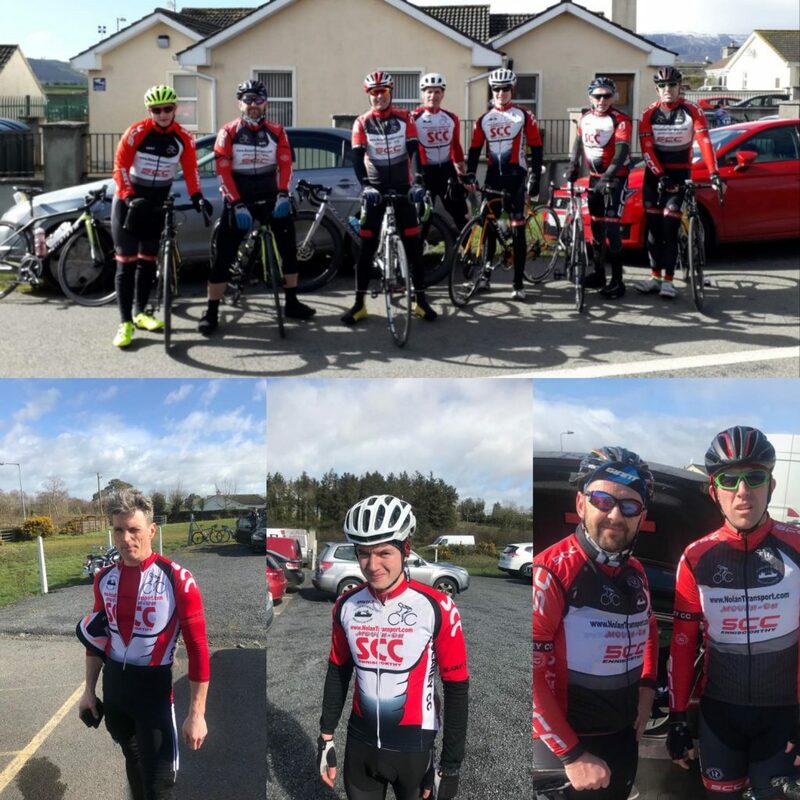 Slaney CC were represented all 3 race’s in Carrick On Suir today. Fionn Jordan and James Maddock in the A1/A2, Matt Seebach and John Redmond in the A3 and in the A4 race, Larry McDonald and Joe Fortune going in their first open race were joined by Derek Doyle and Fran Maddock. In the Senior A1/A2 race Fionn and James, though not in the final mix up, were happy with the way folded out for them. In the A3 race, it was great to see John back racing after last year’s injuries getting home safe in the bunch with Matt finishing in the Top 20. With the A4 race there was no success but the lads gained valuable racing experience. Top photo: Derek Doyle, Larry McDonald, Joe Fortune, Matt Seebach, Fionn Jordan, Fran Maddock and John Redmond. James Maddock not in the photo’s.